Form meets function in this great new full zip Stealth jacket from Cutter & Buck. 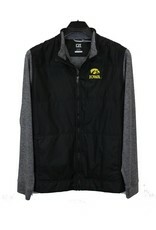 The sweatshirt look combined with an outerwear feel give this jacket a great casual look. 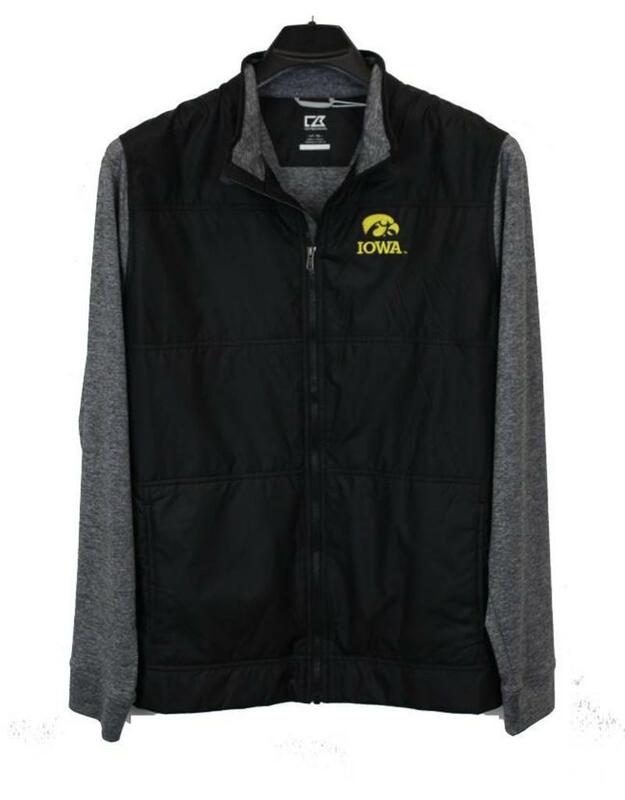 Embroidered with the Iowa Hawkeye logo at left chest you can support your team in a new style. Crafted from a breathable moisture wicking CB drytec the sleeves and back have a heathered cotton look and the the front a solid black.